Belanger Engineering has celebrated our 21st year in business in 2016, and we are looking to add a Building Science Specialist to our staff. Building Science Specialist – Are you looking to join a company that offers excellent benefits and the opportunity to grow your engineering career, plus make practical use of your P.Eng? Belanger Engineering is looking to add a Building Science Specialist to our staff. 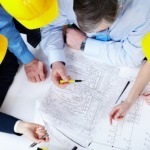 Belanger Engineering is a progressive, multi-disciplined engineering consulting firm with an excellent reputation in the industry. Exceptionally strong company growth has resulted in an immediate opening for a Building Science Specialist who holds their P.Eng. and is looking to lead a team, plus work effectively with our president and other functional business units. If you are the type of person who enjoys diversity in their work, the ability to prioritize and schedule site visits, plus interacting and being a subject matter expert to clients, then this role is a great fit for you!